Green landscapes of Bilogora, Papuk and Moslavačka gora have created many unforgettable scenes of beauty whose colors and natural features are enjoyed by visitors who search for peace, tranquility and a break from the hectic city life. Bjelovar-Bilogora region will enchant you not only with God-given nature but also with lovely little towns and villages. 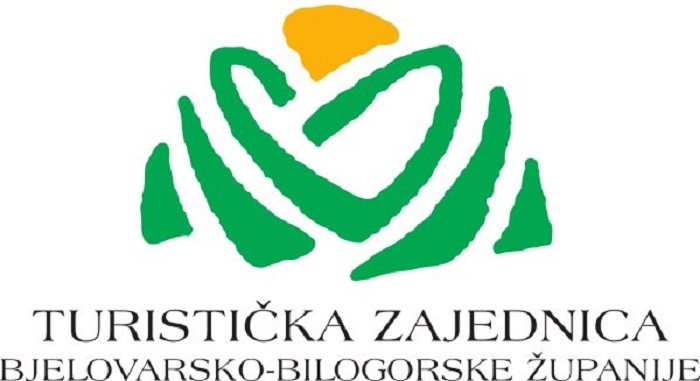 This county, a little more than an hour’s drive from Zagreb, has a rich tourist offer including numerous countryside households and traditional buildings where the beauty of rural and ethnic heritage is happily interwoven with a wide selection of authentic dishes. In the rich offer of excursion tourism, exactly these kind of objects create a unique experience for guests. A day spent away from the concrete and city crowds in the oases of green paradise and delicious local specialties is a truly priceless experience. So close – and yet so far from the city noise and hot summer crowds, to spend a weekend in Bjelovar-Bilogora County is the perfect solution for anyone looking for something more than a typical vacation. So, let’s take a tour! Family farm Kovačević is located next to the wine road of Daruvar. Along with its own wine cellar, it offers an ethnic style double room and an ethnic style apartment for two people. Pets are welcomed! 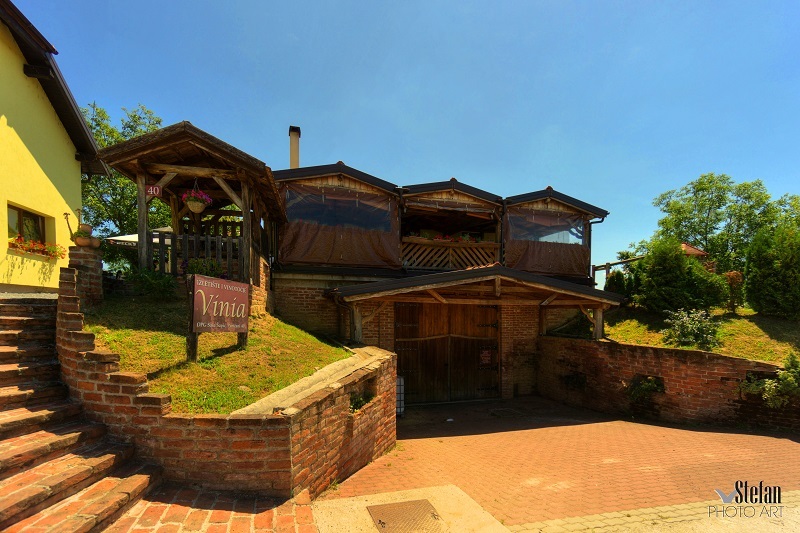 In addition to the accommodation, hosts offer wine tasting from the domestic wine cellar and the possibility of participating in seasonal jobs. 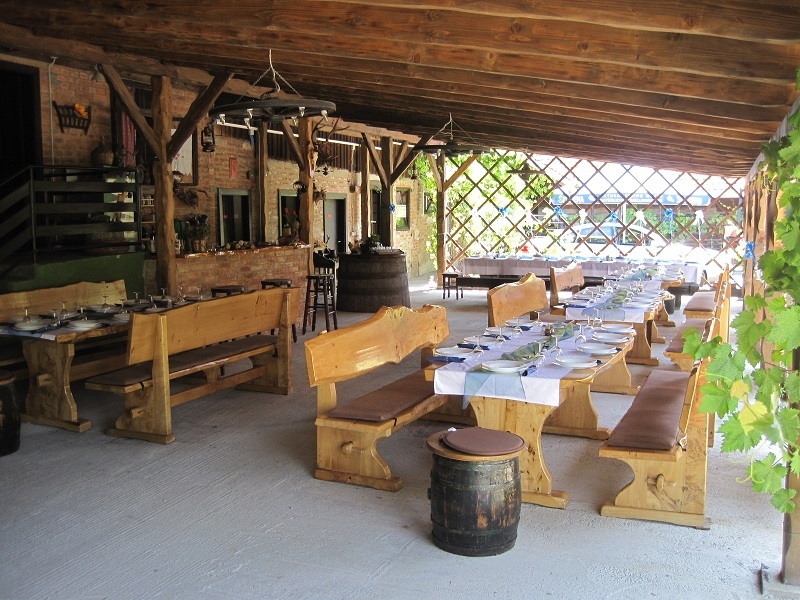 The estate is decorated in traditional style of Slavonian winegrowers and is adequate for organizing celebrations, lunches or evening gatherings. Kovačević family has a long tradition of wine growing and winemaking, and the knowledge is transferred from generation to generation. Guests thus have the opportunity to taste, get familiar with and experience the full magic of the county. 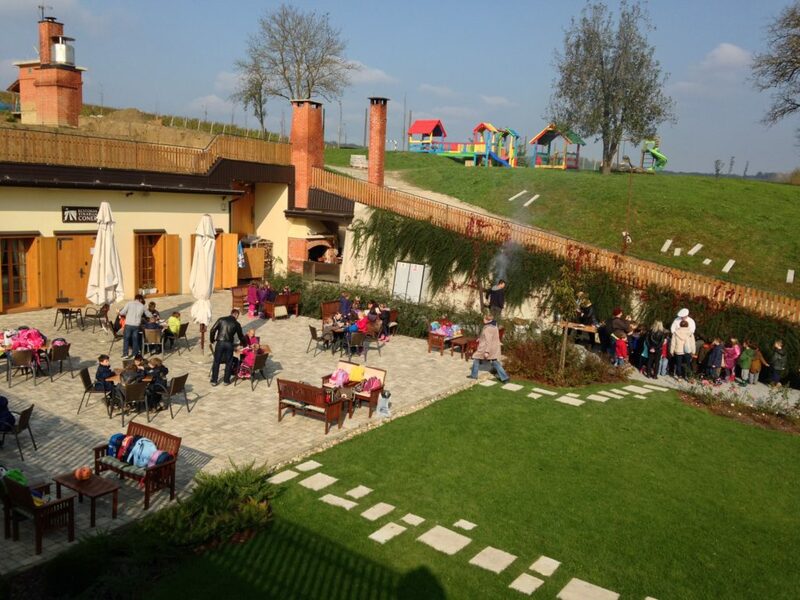 Winery and excursion resort Vinia includes a winery where you can taste wines from domestic production, two restaurants where you can organize all kinds of celebrations – education halls for different seminars and birthday celebrations for the youngest ones. Inside the excursion site there is a playground for children equipped according to the latest standards. 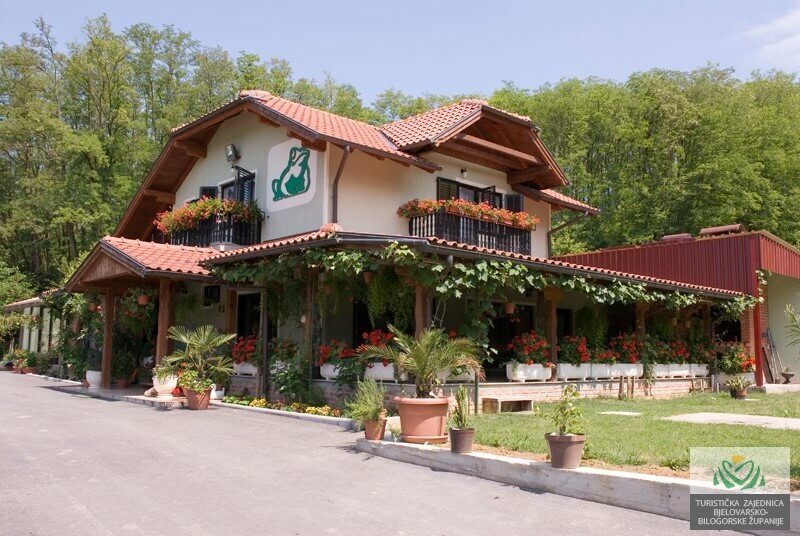 Within the excursion site, there is a new mini-camp inside this countryside household, called “Camp Vinia”. 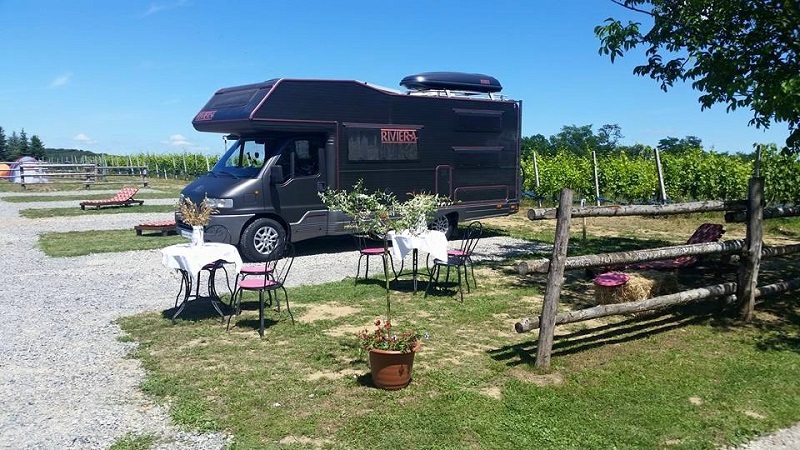 The camp consists of 4 parcels for campers and caravans, each 75 m2, and of a tent section for those who love to spend their holidays in tents, where 15 to 20 tents can be placed. 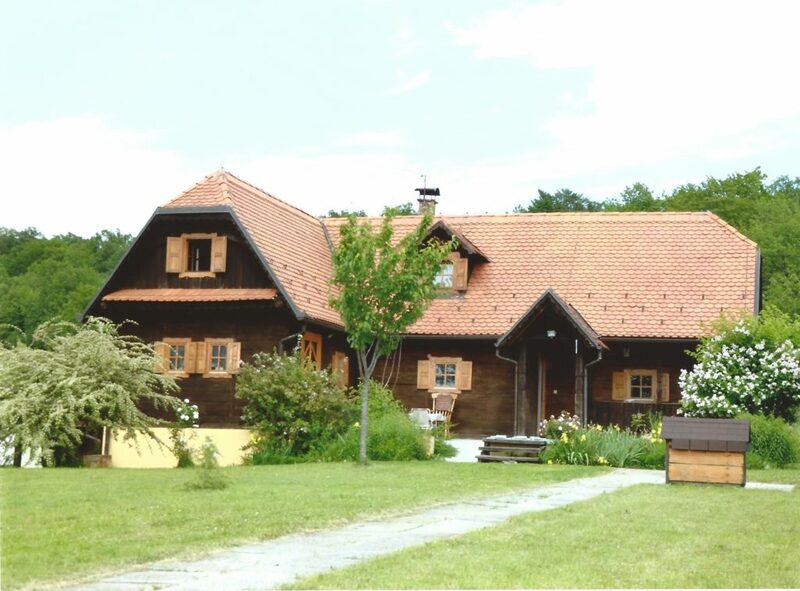 Just as its name suggests, a beautiful country house in the heart of Bjelovar-Bilogora County, about ten kilometers from Bjelovar, on a hilly area surrounded by forests and vineyards of Bilogora, gives a feeling of wonderful harmony between rural architecture and natural beauty. Convenient for weekend breaks, travelers, hikers and families. 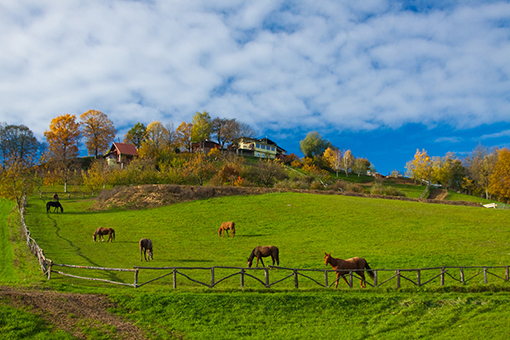 Horse lovers will have a horse farm at their service with the possibility of horse riding and socializing with animals. Pets are also welcomed! A special feature of this property – it is surrounded by private woods and fields on the area of 30 acres. It is located 20 km from Bjelovar, in the direction of Garešnica, in the village Babinac beneath the slopes of Moslavačka gora. The property is surrounded by beautiful nature and bordered by lakes. By walking around the estate you can see animals such as deer, wild boars, peacocks and poultry which is grown in the household. 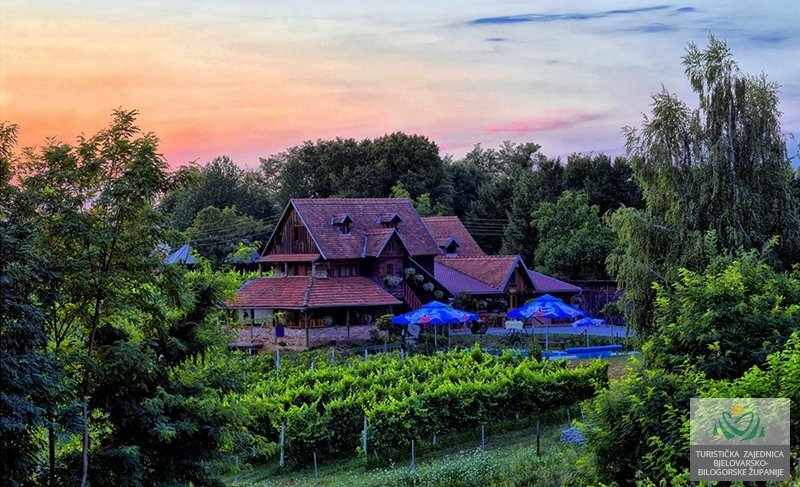 The combination of wine-growing hills and beech forests with fertile plain and Drava river flowing through it, with oak jungles and widely known Peski, is an unforgettable location – a bonus is an attractive winery! Carefully selected varieties were planted on six acres of Bilogora slope in order to give the best grapes. 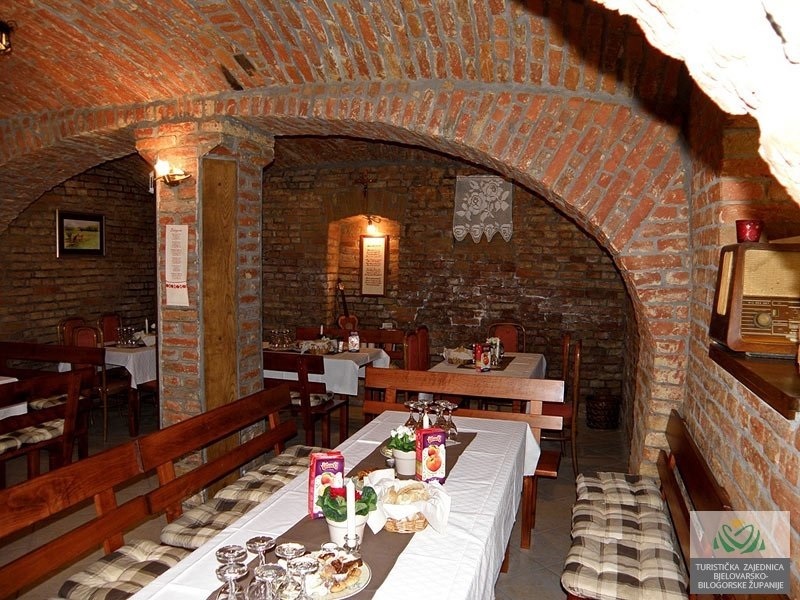 In the restaurant you can taste traditional dishes of Bilogora area prepared in exclusive and modern way, made from ingredients produced locally by hosts themselves or from other farms in the area. In addition to a la carte meals, offer includes specialties from the spit and from the bread oven. Two halls can accommodate up to 160 guests. Playgrounds, walkways, picnic meadows, lookout points, bicycle and pedestrian paths will fill you with the much needed energy. Visit this oasis of peace and natural harmony between cultivated landscape and people, for anyone who wants to take a break from frantic daily life and stress. Dragon’s Nest is surrounded by forests with marked trails for walking, mushroom picking, enjoying the encounters with untamed roe deers, rabbits, various birds, squirrels and many other animals that live in this ecosystem. Here your child can learn everything about the forest, meadow, pond and creek. Dragon’s Nest offers horse riding, a drive in traditional Moslavina carriage and the possibility of numerous excursion to nearby spots. This resort presents numerous opportunities to enjoy the gastronomic offer that includes local ingredients, indigenous cuisine and a glass of fine wine from Bilogora. You will enjoy an unobstructed view of the breathtaking scenery. Bjelovar-Bilogora region offers well-kept secrets and this romantic countryside picnic site is one of them. Open every day from 9 to 21h. 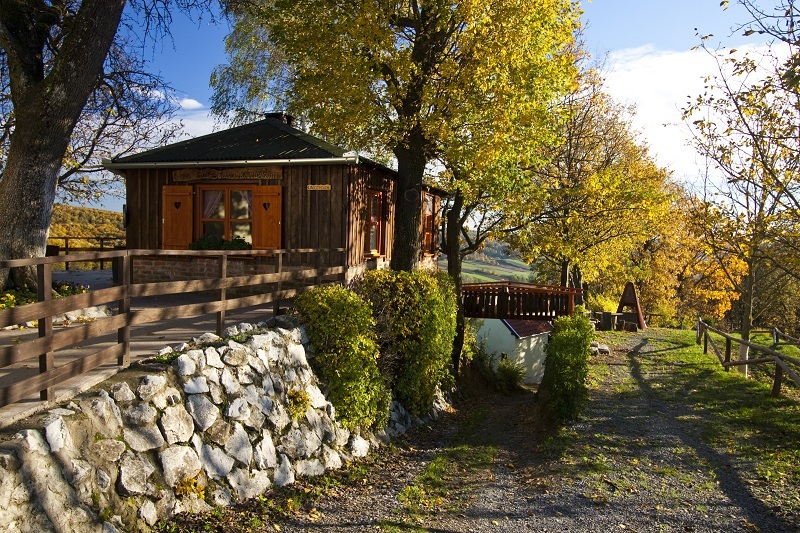 Agritourism “Na malenom brijegu” is located on the mountain tops of Bilogora, in a small Ribnjačka village. The village is surrounded by forested hills and colorful agricultural land as if it was reproduced from some fairytale story. At the guests’ disposal there is accommodation in a countryside holiday house “Bakina vikendica“ (Grandma’s cottage) with two balconies and a glass living room with a beautiful view, and the room with a double bed and a private terrace. The main activity on the family farm is horsebreeding. Seven beautiful riding horses thrill all generations of visitors. Whether you are a beginner or experienced rider, or simply want to observe free and unfettered horses on grasslands, the experience will be wonderful in every way. At less than 7 km from the Daruvar city center, in the suburb of Vukovije, lies the idyllic countryside household of our host Dragutin Ivančić – Braco. In addition to a break in silence and complete relaxation, the joy of walking through vast fields and wooded areas, this countryside household offers accommodation in three rooms with beds for two persons (+ extra bed) with the possibility of using a kitchen and a living room with TV. And don’t forget: Since the restaurant prepares food acording to the traditional local recipes, with plenty of fresh, local ingredients, it is appropriate to announce your arrival with a call and book before arrival. 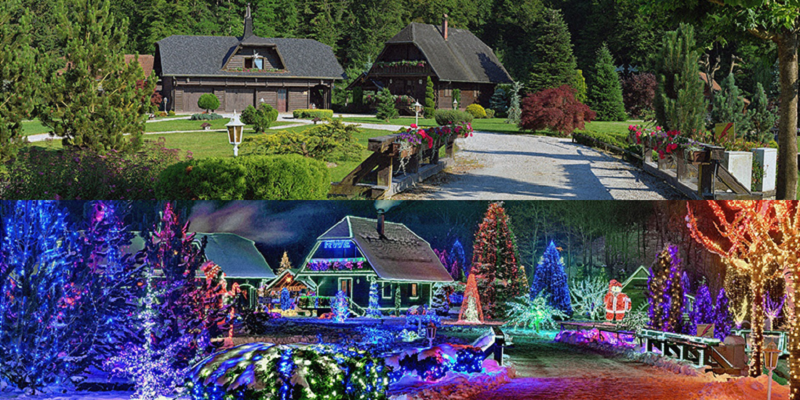 We wish you a pleasant stay and relaxation in the fairytale-like hills of Bjelovar–Bilogora County. The rich offer of domestic countryside tourism is waiting for you in all its beauty of colors, scents and tastes!